Egypt’s minister of manpower has said that the country’s private sector will take three days off this week to mark the Eid Al-Fitr holiday, in comments reported by MENA state agency on Monday afternoon. The holiday will take place on Friday, Saturday and Sunday. In an earlier statement issued on Monday morning, Manpower Minister Mohamed Saafan had said that only Friday and Saturday would be holidays for the private sector. In the earlier statement Saafan said that if employees in the private sector had to work on those two days for any reason, they would be compensated with a full day’s salary. Friday and Saturday are weekend days in Egypt. 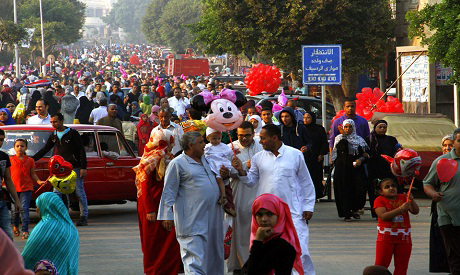 According to astronomical calculations, Eid Al-Fitr will start on Friday.